This property is part of the Marbella Hill View Properties. 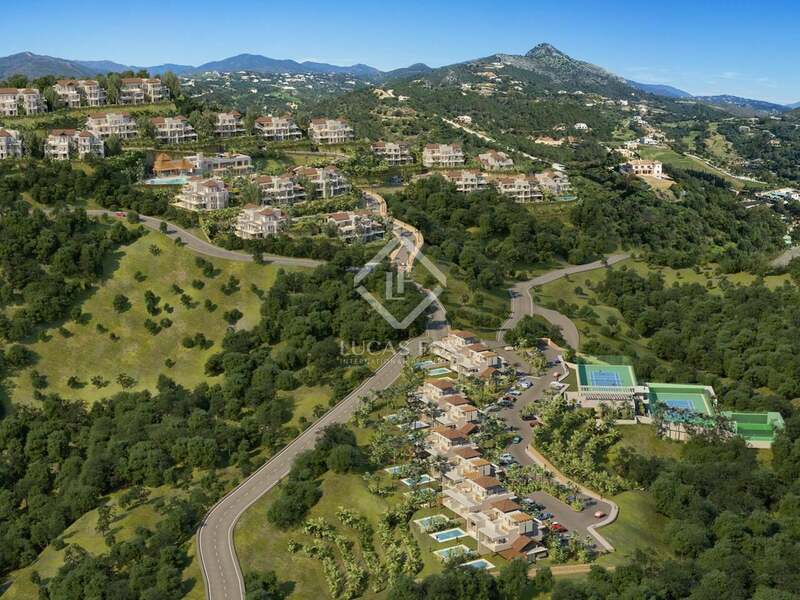 An exclusive new development in Benahavis offering 16 semi-detached villas with 4 bedrooms and 110 villa apartments with 2-4 bedrooms; all with private terraces or gardens. 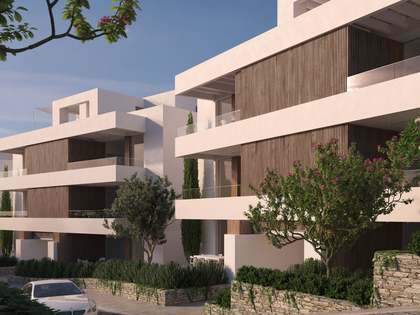 An exclusive new development in Benahavis offering 16 semi-detached villas with 4 bedrooms and 110 villa apartments with 2-4 bedrooms; all with private terraces or gardens. 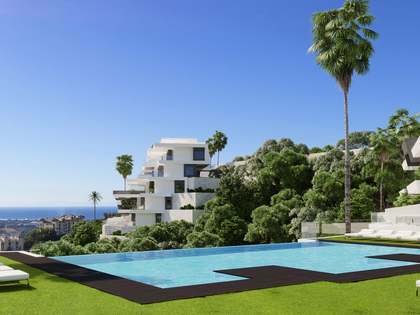 This stunning new development in Marbella is set to be built over 150,000m² in 2 phases, the first of which is scheduled for completion by the end of 2018 and the second by the end of 2019. 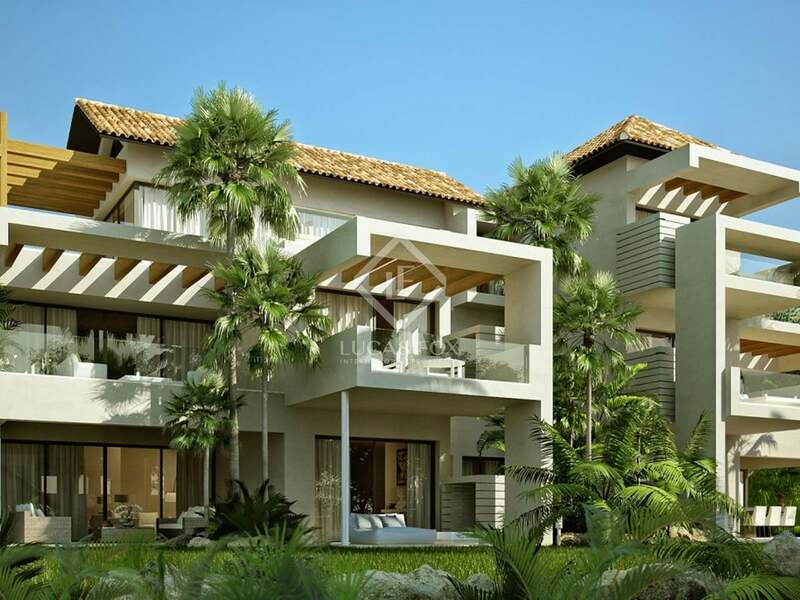 It is an elegant, gated residential complex with 16 semi-detached 4-bedroom villas and 110 villa apartments with 2-4 bedrooms (104-224 m²) and private terraces or gardens. The clean lines and sophisticated finishes along with abundant natural light, views and open-plan layout of the properties will come together to create spectacular, chic, contemporary homes. The complex shall offer excellent communal amenities including state-of-the-art gyms, numerous indoor and outdoor pools for all ages, 2 tennis courts and 2 padel courts and children's play areas. A great advantage of being a homeowner in this complex is that you may enjoy access to the Marbella Club and Puente Romano Hotel amenities which include private golf courses, a horse riding centre, beach clubs, tennis clubs, spas and kids' clubs, subject to availability. Additional features of the development include CCTV surveillance cameras, video intercom systems, lifts to every home and an underground parking area for each and every property with remote controlled garage doors. The properties in this complex will offer very high potential rental yield and they are actively managed and maintained to aid those property owners wishing to let their homes. Renewable energy systems make these eco-friendly homes as well as keeping costs in check. A high quality modern complex with an unmistakably Andalusian touch. Marbella, the most glamorous town on the Costa del Sol, offers world-class beaches, golf courses, shopping, yachting and entertainment. With more than 300 days of sunshine a year, it is irrefutably the ideal place to own a Mediterranean home and enjoy an outdoor lifestyle. 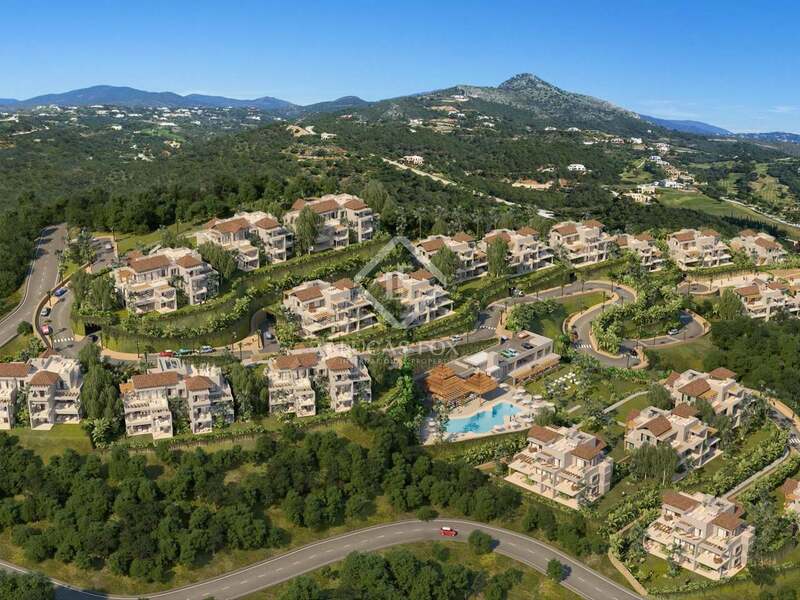 This new development is in Benahavis, just 10 minutes from Puerto Banus and 15 minutes from Marbella Town with its beachfront promenade, golf courses, horseriding clubs, tennis and padel tennis courts, gyms and spas, as well as water sports and excellent restaurants.